Compatible with portable toilets. 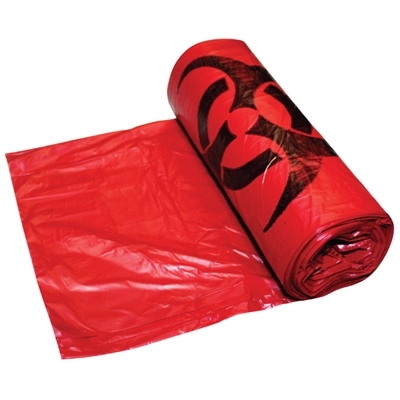 10-gallon red infectious waste bags. 25-pack. 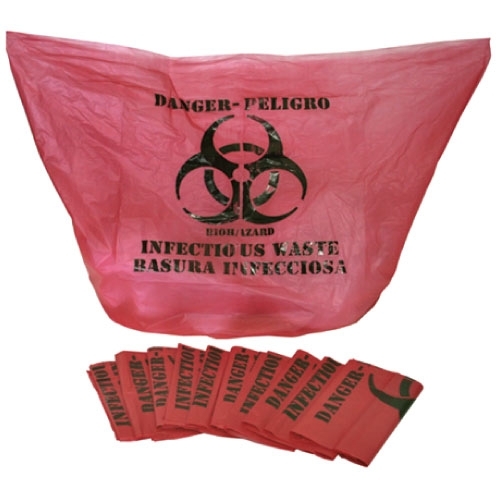 Each bag is labeled "Bio-Hazard" in English and Spanish. Meets OSHA and State of California Department of Health Services requirements.